The CERT Program continues to conduct source code analysis in SCALe (Source Code Analysis Laboratory), which assesses how these standards are being adopted and their practical impact on the deployment of applications. As a result, it should offer a continuously improving model for implementation of techniques identified. 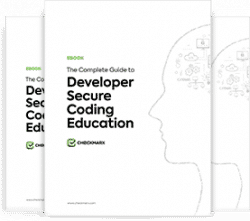 Developers interested in examining their approach can also access a range of tools and libraries that are designed to reduce flaws in coding that lead to vulnerabilities. Finally, the program offers TSP-Secure, designed to enable developers to work in environments where security becomes a paramount part of the development process. This helps organizations meet the CMMI (the Capability Maturity Model Integration) standards. To assist in cases that concern US national security, the Department of Homeland Security created the US-CERT, in cooperation with Carnegie Mellon University. While they are in cooperation with each other, CERT is a separate entity than the US-CERT.